When we learn of critical changes to the information in our Scandinavia guidebook, we post them here. (Of course, it's still smart to reconfirm critical transportation and sightseeing details locally.) 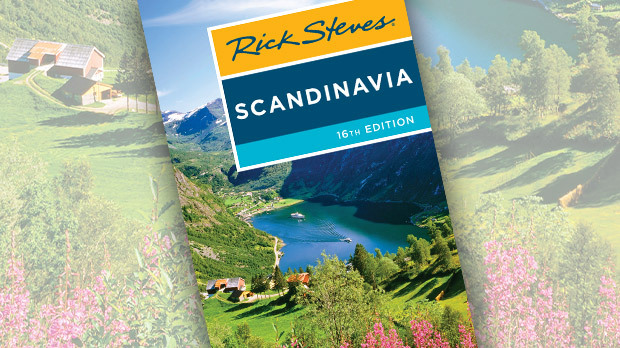 Armed with a Rick Steves guidebook and these late-breaking updates, you're set for a great trip! O'Reilly's Irish Pub has closed. The Co-op supermarket at Södra Långgatan 8 has closed. The Uppsala Card is no longer available. Bergdala Studioglas has a new website: http://bergdala-glastekniska-museum.se/eng-index.html. Grönåsen Moose Park has a new website: www.gronasen.se. Hotel Esplanad has been renovated and offers 26 comfortable, fresh rooms, all with private bathrooms (some booking websites still indicate shared bathroom). Evedal Hostel is now named Vandrarhem Evedal Hostel and has new contact info: www.vaxjovandrarhem.se, info@vaxjovandrarhem.se. Ali Baba's restaurant has closed. Rose Garden restaurant has closed.